Chapter 10 is the most important by far. 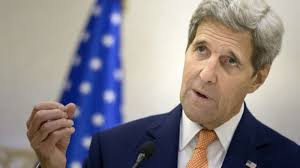 It deals with Attribution and provides the science base for the IPCC claim that recent warming is anthropogenic – in its Summary for Policymakers and elsewhere. It is therefore crucial that the evidence be presented in a transparent and reproducible manner. However, this is not the case. My critique is presented in the hope and expectation that the discussion will be expanded sufficiently so as to withstand scrutiny. 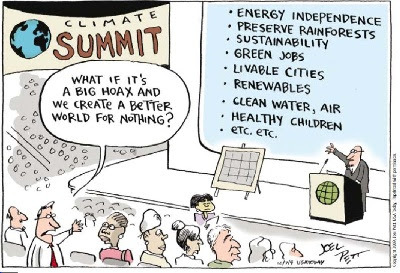 After all, this IPCC report is likely to be the basis for far-reaching economic and political decisions. The key result of Chapter 10 may be seen in Fig. 10.1. The top panel shows the Global Mean [surface] Temperatures with dark grey lines (no error intervals shown) and the results of GCMs that use only “natural forcings” -- from CMIP3 and “other sources” (light grey lines) and from CIMP5 (pink lines). The time interval is 1860 to 2010. How do they get such perfect agreement? 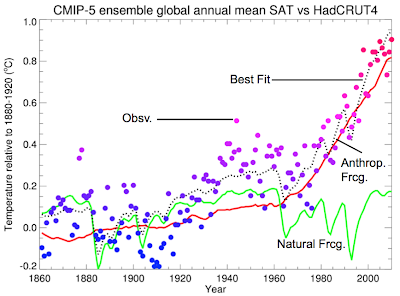 The answer is simple; it’s done by ‘curve fitting.’ They select just the right sensitivity of the climate model (from between 1.5 and 4.5 degrees C--- i.e. range of 300%), this is quite easy to do but really meaningless. disagreement before 1965 which we will discuss below). 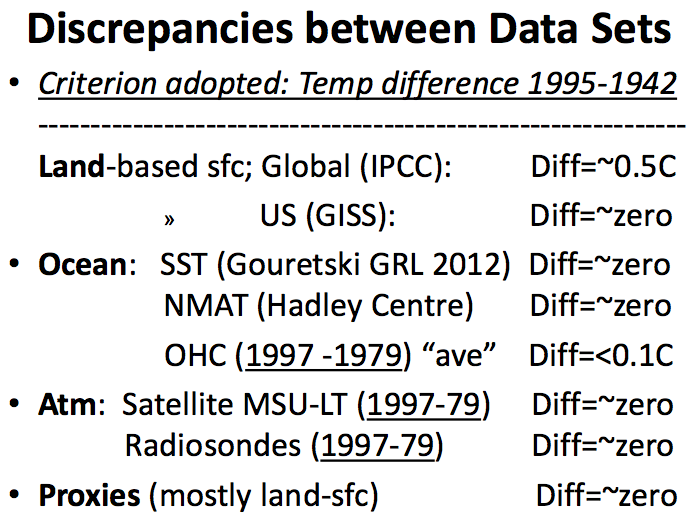 Then IPCC asserts that this difference between unforced models and observations must be due to greenhouse-gas forcing: this is their main piece of evidence for AGW (Anthropogenic global warming). 1. IPCC admits it really does not know all of the natural forcings that should go into the models. 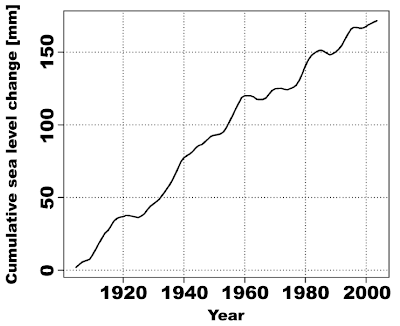 This is also shown by the disagreement before 1965 (see IPCC graph below). 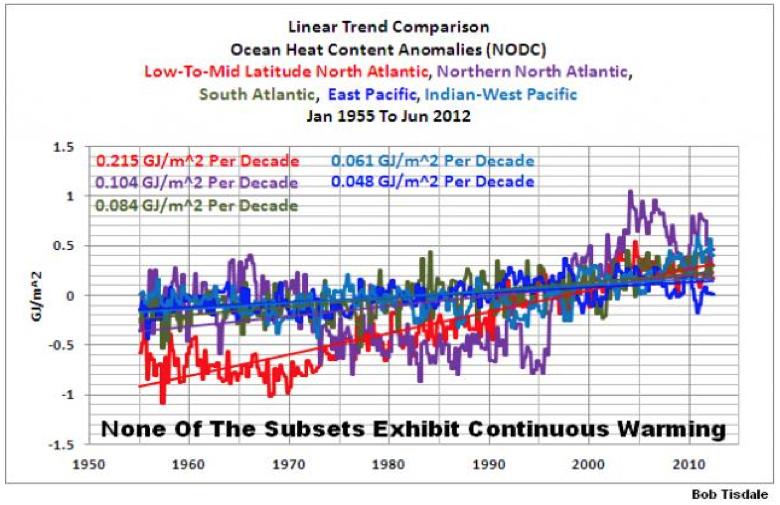 It is also evident that IPCC models ignore changes in solar activity as well as natural oscillations of the atmosphere-ocean system. They also ignore the huge uncertainties in aerosol forcings (which are absorbed in their choice for climate sensitivity). 2. 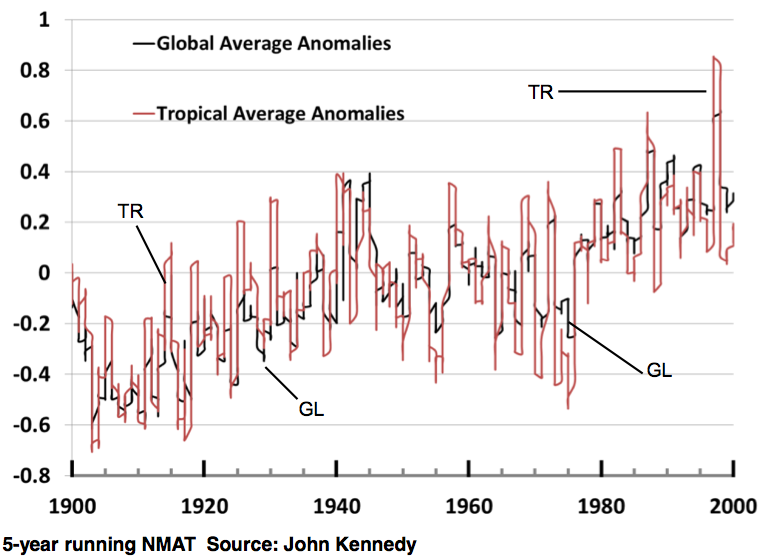 My second comment questions the validity of the observations, in particular the large temperature increase starting about 1975 until the end of the century. Since these are global temperature data, they relate mainly to SST. 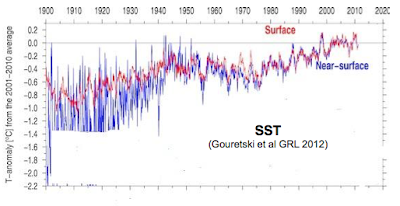 But the latest SST data don’t show such an increase (see figure below: both Gouretski and Kennedy GRL 2012) and the latest OHC (Ocean Heat Content) data (from NODC) agree that there has been little warming, if any, between 1975 and 2000. 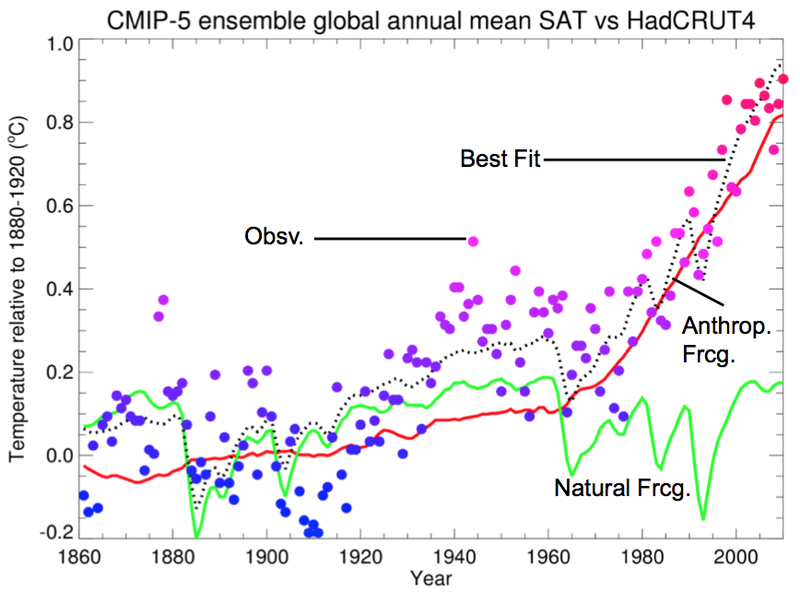 The same result is also shown by NMAT (night-time marine air temp) data from Hadley (see figures below). A summary table (below) demonstrates all of this. It shows the temp trends surface data sets. It also shows the latest trends for SST, for NMAT, for OHC, for proxy data --as well as for atmospheric temp trends; they all disagree with sfc trends. Here are questions that require detailed quantitative answers from IPCC, together with references to published papers where appropriate. 1. How is Fig. 10.1 of AR-5 different from Fig. 9.5 of AR-4? Are the differences substantial? Explain. 2. Do model results show results of individual runs or just ensemble-means? How many runs? 4. 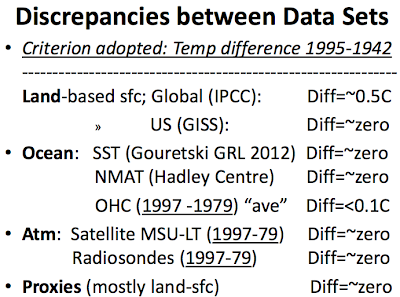 How do the models handle solar variability (TSI, solar-wind-cosmic-rays, etc)? 5. How do the models explain the observed warming of 1910-1940? 6. 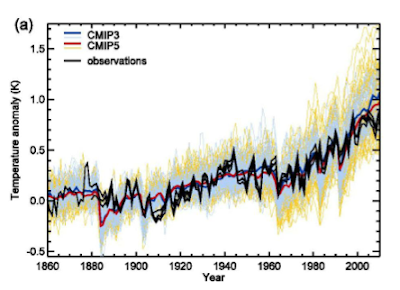 What accounts for the sudden cooling around 1965 shown in the model results of CIMP5? 7. Turning to the upper panel of Fig. 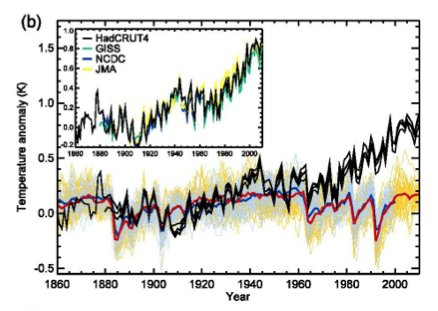 10.1, which models agree best with observations of 1970-2010? What are their climate sensitivities (CS)? – instead of just for the Global Mean, but using the same values for CS and historic AF scenarios? 9. Finally, can the upper panel be shown for MSU atmospheric temp – instead of just surface temp? 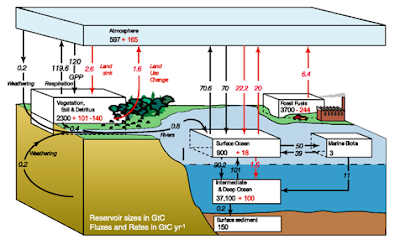 Sea Level rise is generally considered the most important consequence of a putative global warming. 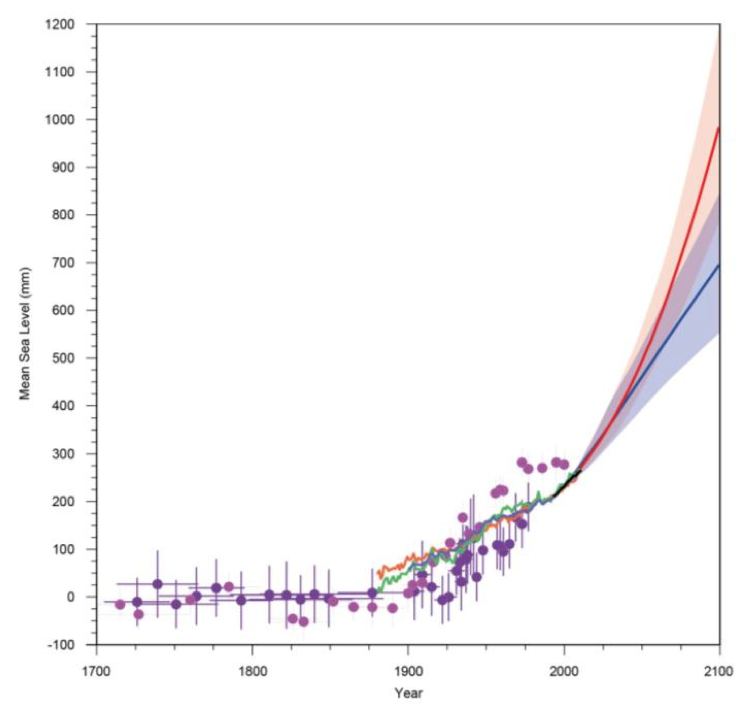 Successive IPCC reports have shown decreasing estimates for future SLR. But AR-5 shows a larger rise. SLR has a data problem: there is much disagreement in published values. Therefore, projections depend greatly on (subjective) selection of data. The chapter seems to be dominated by the prejudices of John Church, the convening lead author. He has long held to the claim that SLR shows acceleration during the 20th century. This may or may not be true; most authors claim that there is no acceleration or even deceleration (see graph below from Holgate GRL 2007). In any case, chapter 13 is remarkable in that it ignores the work of established and respected researchers. For example, I could not find any reference to the coral studies of Fairbanks, Lightly, or Macintyre. Of course, there is no reference to Morner; but there is also no reference to Walter Munk. The list of references does not include Trupin and Wahr, Behre, or Houston. Bruce Douglas, one of the most respected workers in this field, gets one mention to a chapter in an obscure conference volume. Simon Holgate is cited only twice. On the other hand, Rahmstorf, whose so called “theory” conflicts directly with empirical data, is cited prominently. The summary graph is Fig. 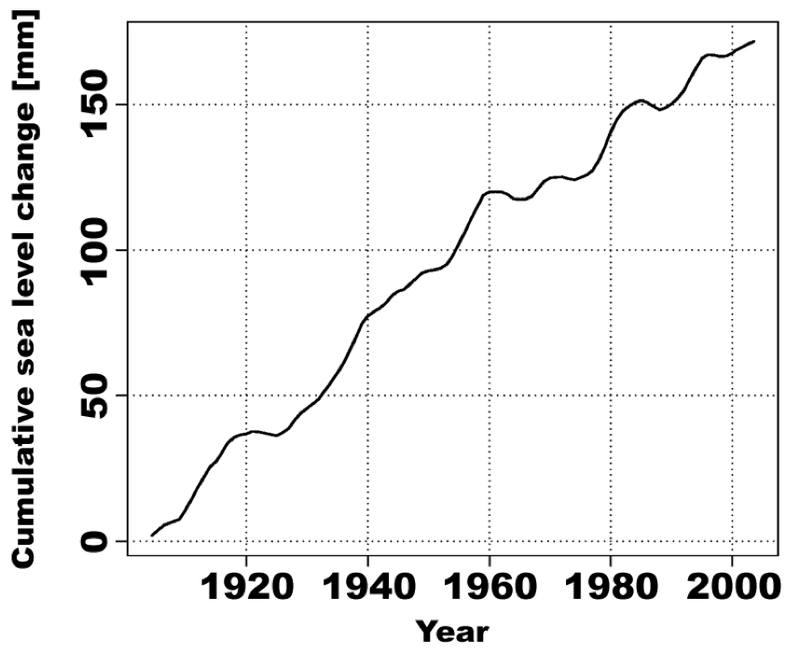 13.21, showing ‘selected’ data for 1700-2010 and projections to 2100. 2. What physical event might cause a sudden acceleration at 1880? 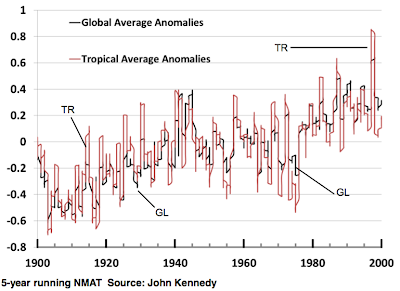 This AR-5 projection has already been falsified by the observed SL rise since 2000.